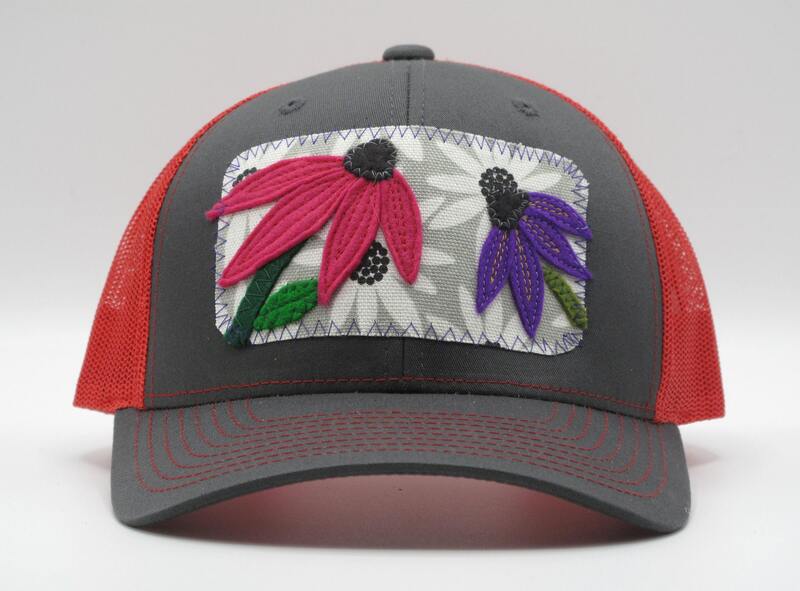 In my garden, the echinacea flowers soar up against a backdrop of daisies, just like they do on this red and gray trucker hat. 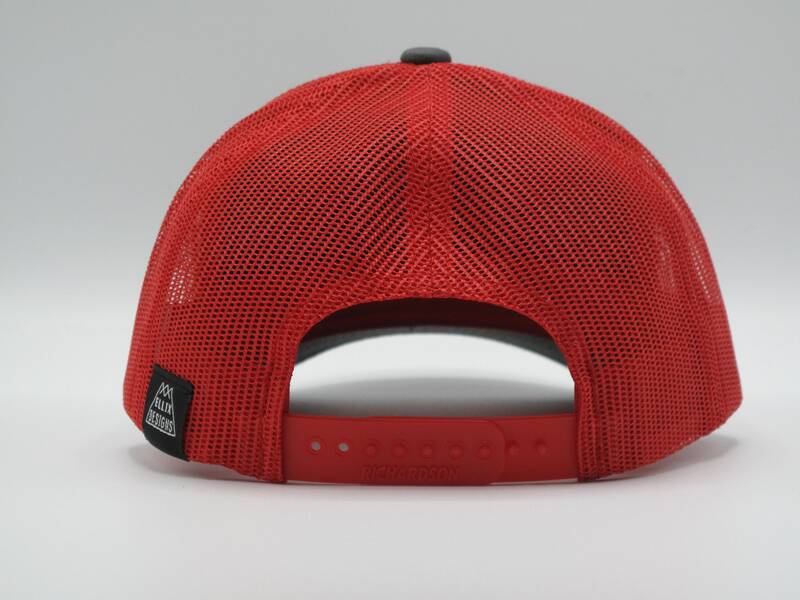 Ellix hats are a great way to look stylish while shading your face & protecting your head from the mountain sun, the festival flare or the urban glow. 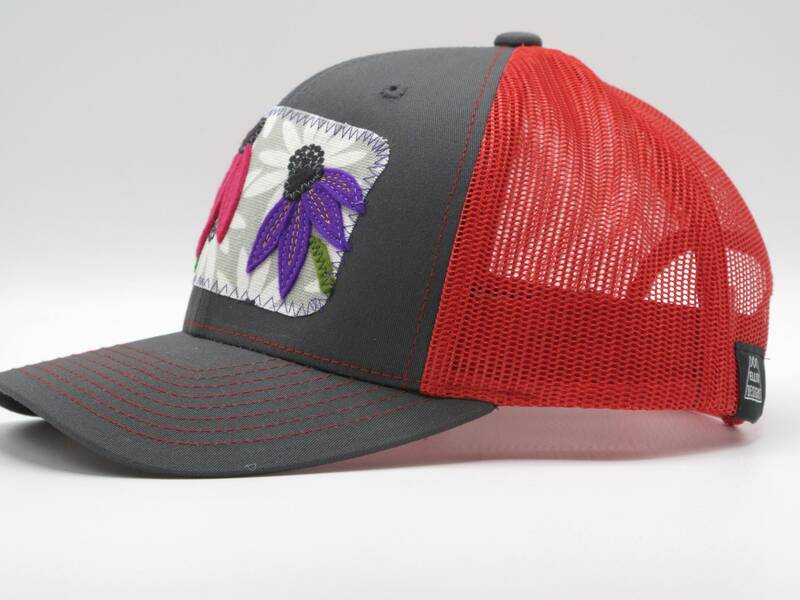 Trucker hats are all season apparel here in the mountains of Bend, Oregon - perfect for men and women, and this red and gray cotton front Richardson hat has a one-size-fits-most adjustable snap back.